A large supply of used, refurbished and new parts. Learning opportunities for volunteers to gain bicycle repair experience as they assist others in a supportive environment. Established in 1993 with the assistance of the Waterloo Public Interest Research Group, Recycle Cycles is dedicated to cycling and cycling issues and is run mainly by volunteers. Shop space and facilities are available by appointment. Please call us to reserve shop time... space is limited! 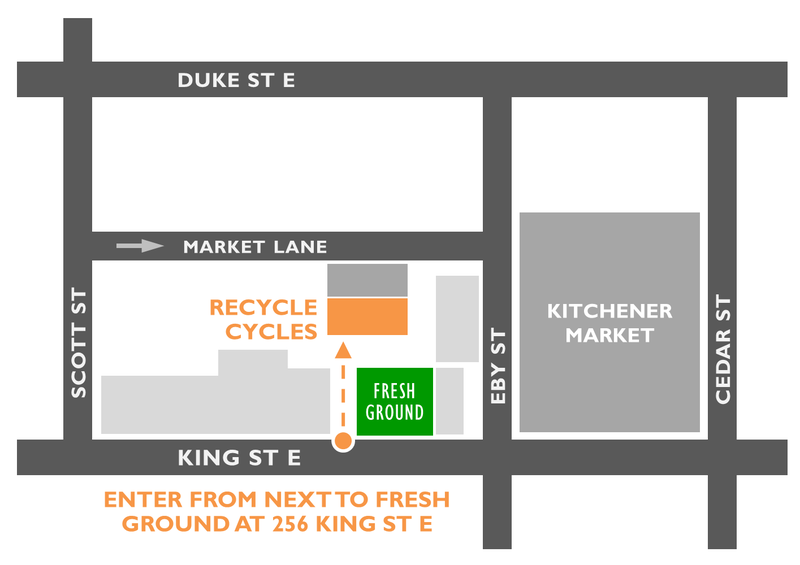 The entrance is small driveway off of King St. E.
For more information about Recycle Cycles, please contact us.